Transfusion of blood and blood products helps save millions of lives every year. It can help patients suffering from life-threatening conditions live longer and with higher quality of life, and supports complex medical and surgical procedures. It also has an essential, life-saving role in maternal and child care and during man-made and natural disasters. 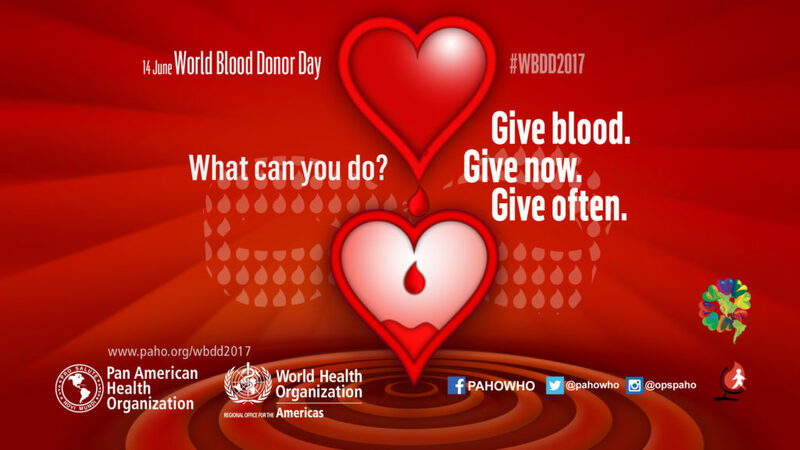 Help support World Blood Donor Day by becoming a voluntary blood donor. Visit your local blood donor center and help reach PAHO’s goal of 50 pledges of donated blood by Sunday June 18th.